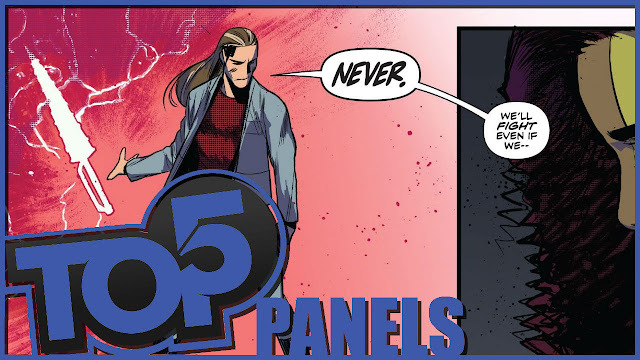 Fan Panel Pick From Last Week - Smooth Criminals #1 - Are We Friends? I really loved this father, daughter talk. I'm happy to see Black Cat and Peter back on good terms. 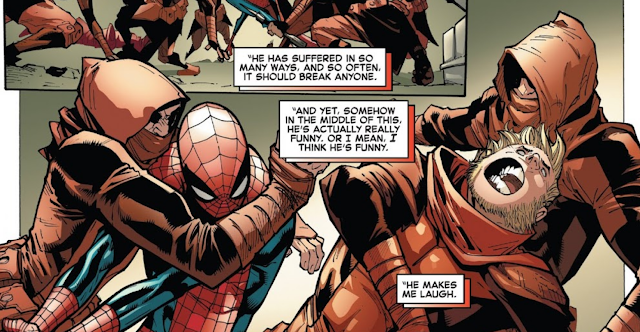 This motive made a lot more sense than the whole Superior Spider-Man thing. 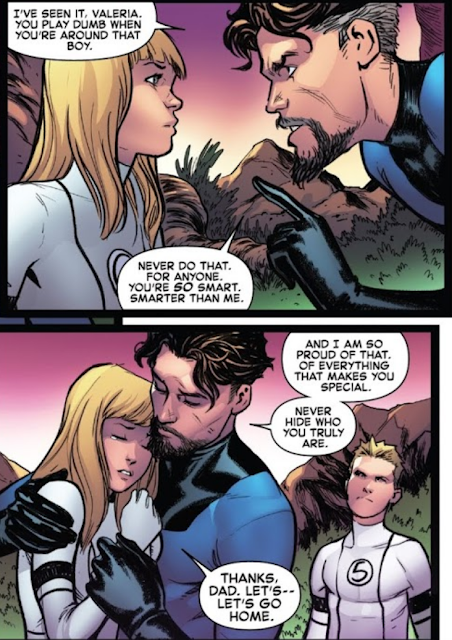 I have a feeling Gwen and MJ are a bit more than friends in this universe. 3. Spider-Girls #2 - Did Any of It Matter? Andres Genolet did a great job at calling back to Frenz's art style from the original Spider-Girl series. I also really enjoyed seeing Jody Houser express May's current mind frame. More Sam and Luna moments, please! 5. Mighty Morphin Power Rangers #33 - NEVER! The Praetor makes the Rangers an offer to save themselves but they have to turn over the Solar Ranger. For a second it looks like Andros may take the offer to save his sister but then we are reminded why he is a Ranger! I love seeing him call on the Spiral Sabre in defiance! 4. 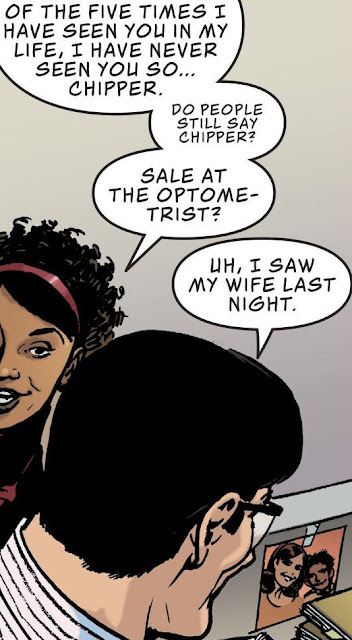 Amazing Spider-Man #10 - It Bothers Me Too! Oh my God! This bothers me too! I do the Frontline LIVE People's Top 5 and EVERY TIME I see them put it down as Spiderman I get annoyed. I mean COME ON! 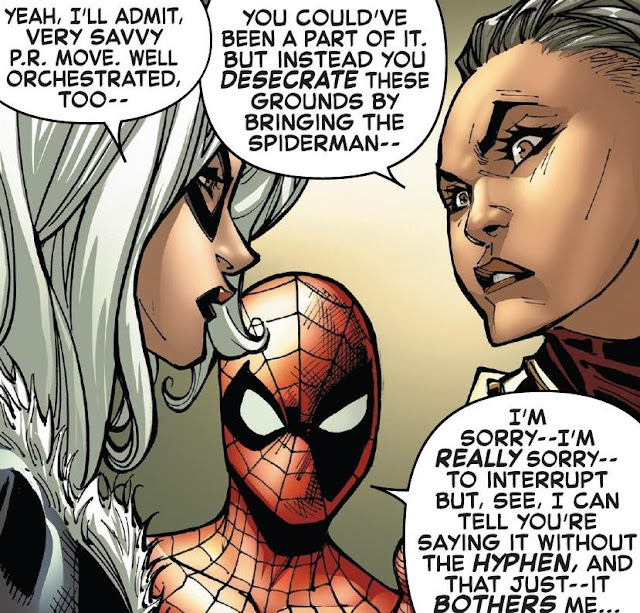 You read the book, it says Spider-Man USE THE HYPHEN PEOPLE!!!! I LOVE FENCE! These are some of the best, well thought out, developed characters in comics and this panel just added more layers to Aiden. At first, he is seen as this superficial man-whore, but throughout the series and in this scene we see that he is just really damaged. 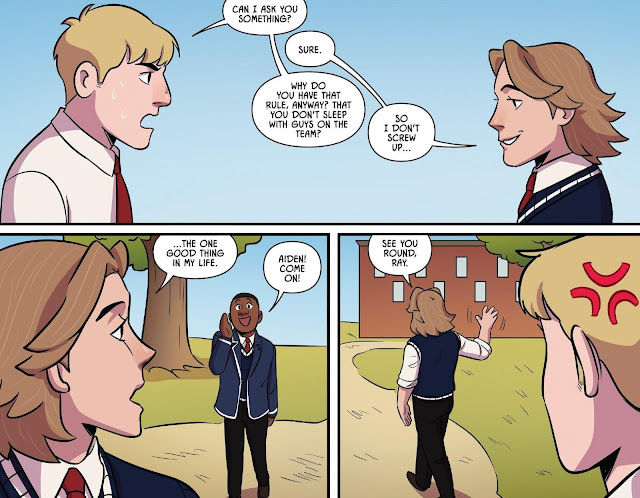 I love his relationship with Harvard is one of favorite in comics right now, I can't wait to continue this story in the OGNs. 2. Fence #12 - Legacy! I love how powerful this is. Something so small, yet so powerful as seeing your father's initials, that tangent thing something that connects you to him again. This is why I love the series, such powerful moments in small moments. 1. Action Comics #1005 - Have You Ever Really Loved A Women? This was honestly going to be lower due to the panel that follows it is one of my worst panels ever! 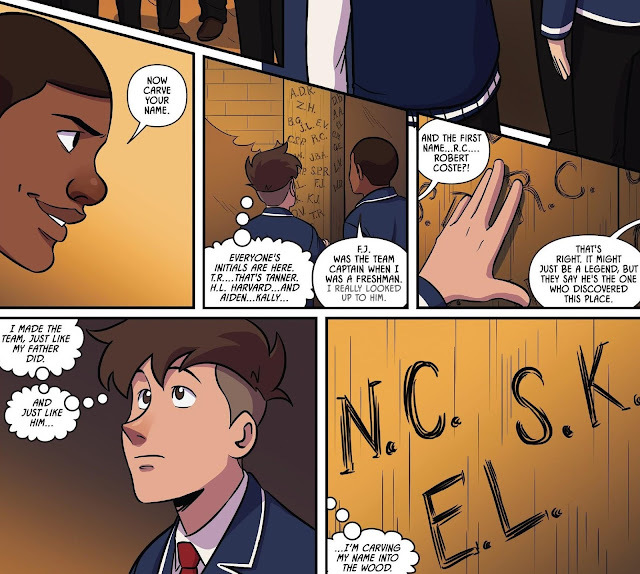 But, this is about top panels and this one is great. Lois brings something out in Clark and if you ever been in love you know that feeling, you feel like you are Superman and for someone like Clark it is slightly different, because she saw past the Super for the Man and that is why just seeing her can make him feel this way. Spider-Girls #2 - Did Any of It Matter? Mighty Morphin Power Rangers #33 - NEVER! Amazing Spider-Man #10 - It Bothers Me Too! Fence #12 - The One Good Thing. Action Comics #1005 - Have You Ever Really Loved A Women?